Bone dry (adjective) is a term used to describe and identified greenware pottery that has dried as much as possible before it has gone through its first firing (the bisque firing). When held, bone dry greenware feels to be at room temperature, not cool to the touch. Coolness indicates that evaporation is still taking place. Bone dry greenware is extremely brittle and will break apart very easily. 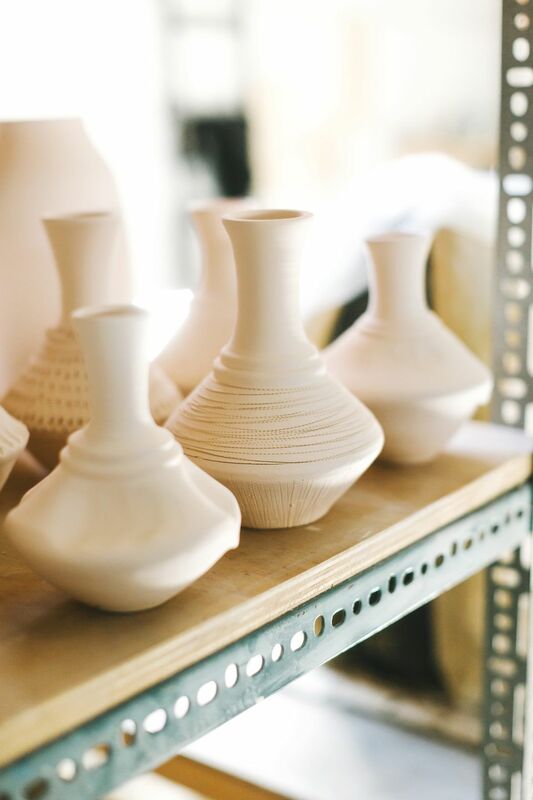 Therefore, it should be handled as little as possible and great care must be taken when loading it into the kiln.